Philadelphia, PA — December 20, 2018 — Employees at Almo Corporation (#AlmoGivesBack), the nation’s leading independent distributor of appliances, consumer electronics, Pro A/V equipment and housewares, truly understand that it is better to give than it is to receive, especially during the holidays. Over the last month, Almo employees have graciously donated their time, talent, toys and even turkeys to benefit those in need at local-area organizations throughout the country, such as the Downtown Baltimore Family Alliance (DBFA), Ronald McDonald House Giving Tree, Johns Hopkins Believe in Tomorrow Children’s Foundation, Somerton Interfaith Food Bank and more. The Almo Professional A/V Baltimore office adopted two families with five young boys through the Downtown Baltimore Family Alliance (DBFA), an independent, non-profit Alliance of parents, educators and community activists devoted to supporting Baltimore families. For the past eight years, DBFA has connected families in need to those that want to give through its “Adopt-A-Family” program. 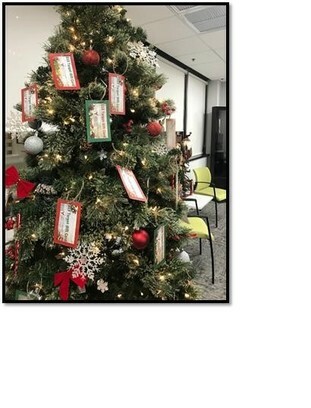 The Almo Professional A/V Florida office set up a giving tree for the Ronald McDonald House Charities (RMHC), which serves children and families worldwide through programs that provide access to health care and family-centered care. Almo employees chose tags that represented $15 Target gift cards and donated nearly $500 to the local RMHC chapter. In addition, Almo employees provided toys for patients at St. Christopher’s Children’s Hospital in Philadelphia, through the Committee to Benefit the Children (CBC), as part of Almo’s RCHC partnership. 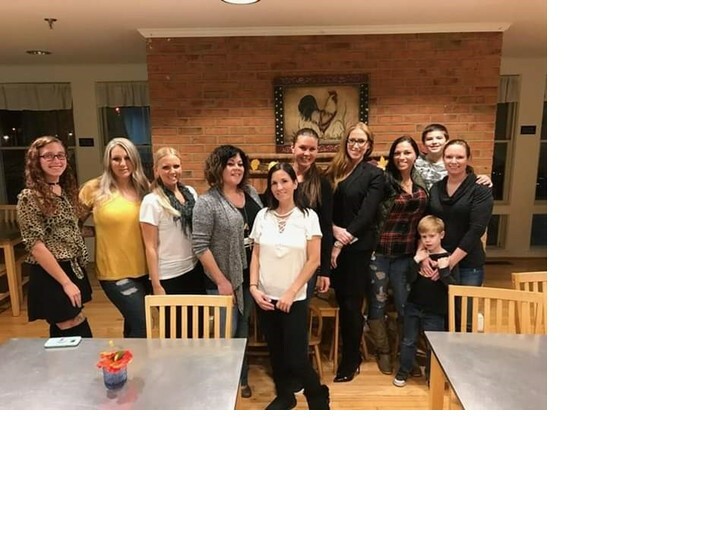 Last month, employees from the Almo Professional A/V Baltimore office went to Johns Hopkins Believe in Tomorrow Children’s Foundation, which provides exceptional hospital and respite housing services to critically ill children and their families. Almo employees donated money for food, and then shopped, prepared, served and cleaned up a Thanksgiving feast for the 25 adults and children staying in the facility. By doing so, they brought much-needed comfort and joy to those families, renewing their spirits both mentally and physically. Since the 1950s, Almo Corporation has treated its employees with Thanksgiving turkeys. 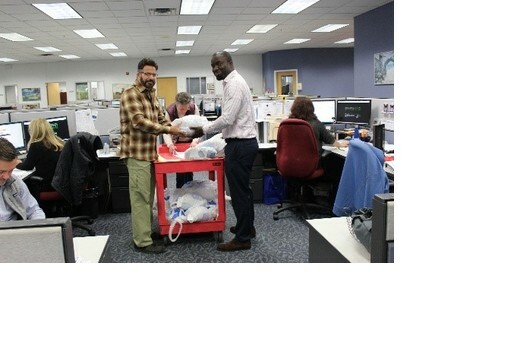 This year, each employee was given the option to donate their turkey or the cash equivalent to the Somerton Interfaith Food Bank located in the Philadelphia area near Almo headquarters. Almo employees donated a total of 58 turkeys weighing between 12-14 pounds, along with close to $4,000 for those in need in the community. Additionally, Almo worked with the Pottstown Cluster of Religions Charities in Pottstown, PA, providing 219 gift items to cover the wishes of approximately 70-75 local area children. 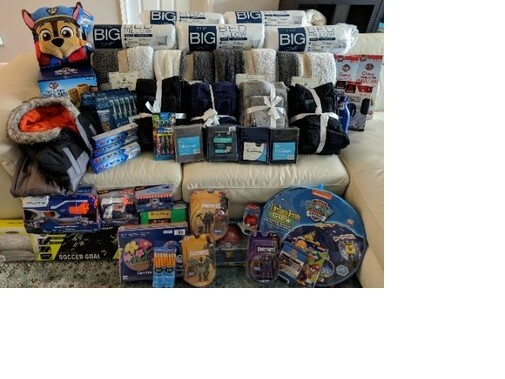 The Almo Philadelphia headquarters also raffled off sample and donated products then used this money for additional toy drives, restaurant gift cards and other gifts for local-area families. Finally, Almo Professional A/V was a sponsor for the Integrate Baltimore holiday fundraiser for Toys-For-Tots. For more than seven decades, Almo Corporation has served as the largest independent distributor of appliances, consumer electronics, professional Audio/Video equipment, furniture and housewares in the United States. Meeting the needs of retailers across the country, Almo operates nine regional distribution facilities with over 2.5 million square feet of warehousing. Almo focuses on four major business segments or divisions. The Major Appliance and Electronics dealer channel segment works with more than 2,000 independent dealers throughout the United States distributing household name-brand products in a variety of retail categories. The Premium Appliances division works with independent retailers of luxury appliances and outdoor lifestyle products including patio furniture and BBQ grills. The Professional A/V division provides value-added technology and professional audio visual products and services to professional integrators, dealers and consultants. The Fulfillment Division is a state-of-the-art e-Commerce Fulfillment business that serves some of the largest online retailers in the country with a wide range of products. For more information, go to www.almo.com or call 800-345-2566.